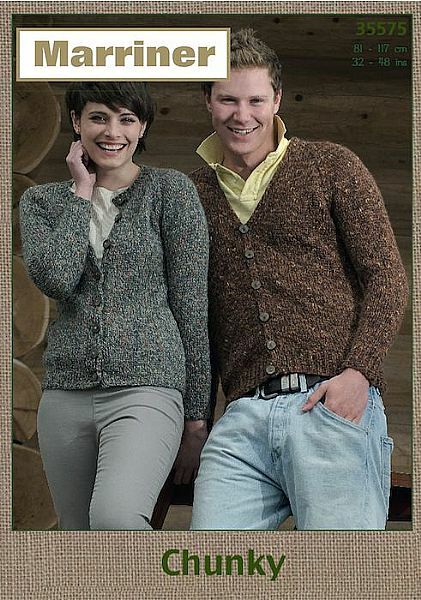 These cardigans are knitted in Stocking stitch and feature a round or V-neck design. Knitted in Chunky yarn that gives it a thicker feel. 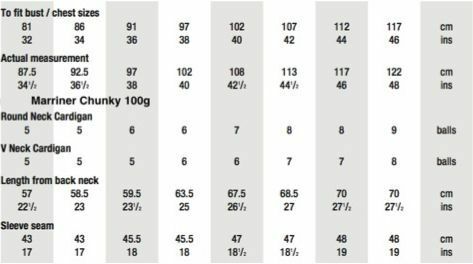 Hooks required 2 - 51/2mm (UK 5 - USA 8) and 2 - 61/2mm (UK 3 - USA 10) Knitting Needles.